Action Garage Door offers a variety of garage door repair services to Dallas, Fort Worth, Houston, San Antonio, and Austin area homeowners. We realize how important your garage door is to keeping your automobile safe from the elements and for keeping your home safe as well, which is why we do so much more than repair garage doors and garage door openers. Make us the first and the last business you call the next time you’re in need of professional and quality garage door repair services. Our exclusive service guarantee shows great dedication to our customers and our performance. Although our technicians will thoroughly explain the details of your new garage door upon installation, we are always available for any additional questions you might have. If It Can Happen, We Can Fix It! 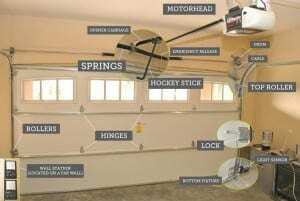 All garage doors and garage door openers are not created the same way, which means they can’t be serviced the same way. 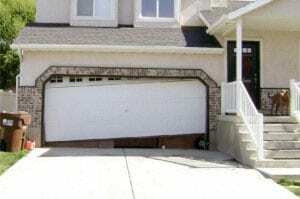 We’ll make sure we personally tailor your services to fit your specific needs as well as the needs of your garage door. Our variety of garage door repair services include professional garage door installation, repair, and maintenance services. Whenever an Action Garage Door technician comes out to your Austin, Fort Worth, Dallas, Houston, or San Antonio area home or commercial building, we’ll thoroughly inspect your garage door to see what needs to be done, whether it be replacing rollers, cables, springs or simply fixing a noisy garage door. We’ll be in close communication with you so you understand what’s going on and so that you’re clear on the terminology when it comes to garage door models and materials. 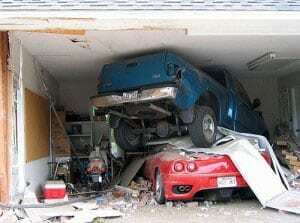 After the job is done, we’ll even get rid of your old garage door for you. Customer service is our top priority. Contact us online or call the location nearest you. In Dallas-Fort Worth and surrounding Texas cities, call 972-254-4040 or 817-633-3119. In Austin TX area cities, call 512-447-3667. In Houston and surrounding communities, call 713-222-1500 | 281-752-7100. In San Antonio and surrounding area, call 210-787-3990.